Yes, yes, I know... this scan has been used many times before, I'm sure you're all tired of looking at it x_x but I couldn't help myself, I've loved this scan for so long that one day I decided to wall it. 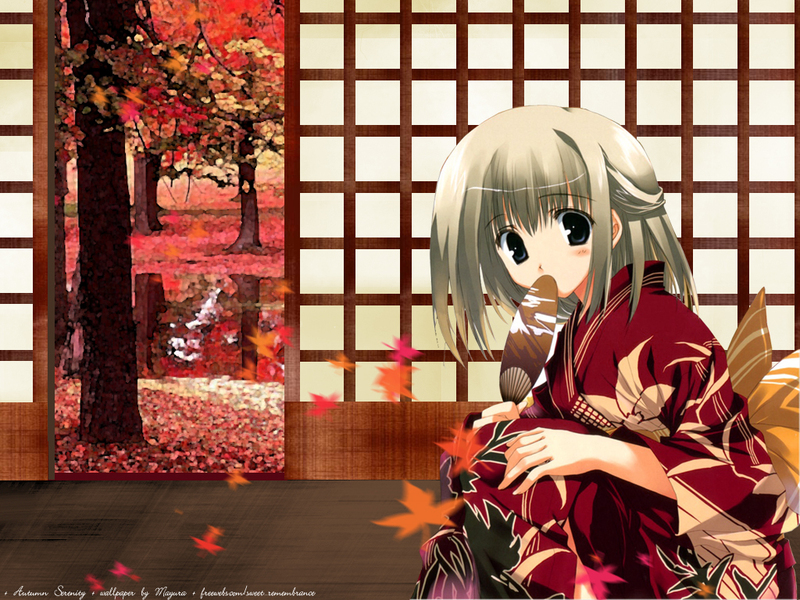 This wallpaper is v 2, since in v 1 of it, the autumn trees in the back looked kind of.... messed up. @_@ I finally decided to change it today since one of my friends said that the bg was kind of blurry in the original wall... so yea. 16 layers altogether.. just counted. EDIT// july 04, 2006: Okay, since some people said that the bg is blurry, I have to tell you all, I didn't blur it, okay? x_x I did a watercolor effect, not a blur.. The background is a stock photo? wow, this is kawaii... :) it somehow reminds me of another wallie from CW recently, but I like the balance of colors here. Even at far, you could see clearly why the wallie is cute. :) good job! Nahh..maybe it's true that this scan is used a lot, but who care (/-_-)/ (at least not me). It's cuteeee X_X and bg is good also. Thanks a lot for sharing. Favv :D.
cool wall i realy like the BG , great job ! Woww... I really love your view. Maple leaf and the gitl's cloth is very good design!